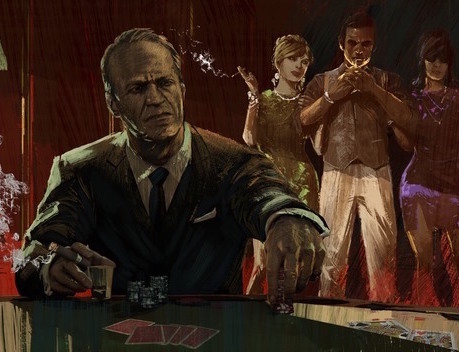 One of the better open world games in recent years, Mafia III, is the lead game in this month's PlayStation Plus lineup. Overall it's a great lineup... especially for some Halloween chills. On PlayStation 4, you'll also be able to download Dead by Daylight, the homage to B-grade horror films of the 80s, which sets four players the task of surviving a rampage by the fifth player, who takes on the role of the serial killer. Fans of Friday the 13th or Nightmare on Elm Street will get a real kick from that. For PlayStation VR there's Here They Lie, one of the early games released on that platform, and an artsy little horror game in its own right. If you're still taking advantage of PSPlus for PlayStation 3, there's two good 'uns coming this month; Serious Sam 3: BFE, with all the manic FPS nonsense that that series is loved for, and Bound By Flame, which is a dark RPG that deserved far more credit than most gave it. The PlayStation Vita has Draw Slasher and Space Hulk. Not the most exciting stuff of all time, though Space Hulk is a decent bit of fun if you're into Games Workshop and board games.